Have you ever put down a book because you thought the story-world was just too implausible? I suspect not many. But I am sure there are books you may have put down because you thought they were just plain boring. No one likes mundane and boring. Readers want excitement. Good writers like Veronica Roth and Suzanne Collins are adept at taking their readers to imaginary worlds where for a time the reader is prepared to suspend their disbelief about the story-world to follow the main character’s story. Of course, a lot depends on genre. Readers of Fantasy are more likely to accept the implausible: worlds of magic, dragons and mythical characters. But they are not the only ones to suspend disbelief. Science Fiction readers often accept future worlds with faster-than-light travel, aliens and time travel, even though some of the science underlying these stories may seem improbable. And Horror readers accept worlds of vampires, were wolves, and zombies. But even putting aside the genres of Fantasy, Sci-Fi and Horror, to some extent all fiction writers tease the reader into suspending disbelief about some aspects of the story. Even Thrillers and Romance novells may be based around an improbable premise or serendipity. It’s a matter of degree. So why are readers so easily seduced to suspend their understanding of reality? Curiousity plays a part. But it’s also because the reader wants to escape from their mundane ordinary world to the experience the thrills and emotions of the main character’s story. The more extreme the story-world, the more extreme the stakes at risk, the greater is the emotional intensity. Have you ever shed a tear or felt a dry throat during a movie or book? It’s normal. Our emotional response to a movie or book doesn’t distinguish between reality and fiction. The emotional response is the same. And good writers can induce this. So how do writers create these worlds and how do they get us as readers to believe in them? I think the answer to this question isn’t in the way these worlds are described; although building a consistent world is an important feature. It is in the way the characters in the story are developed. They must remain real human beings with strong desires and needs, even if the characters themselves are not necessarily human. They may be vampires, elves or robots, but they must have some strong human traits. Take Veronica Roth’s Divergent. The world Roth creates is unbelievably strange world where society is split into factions that determine their roles in society. It seems a very impausible world. 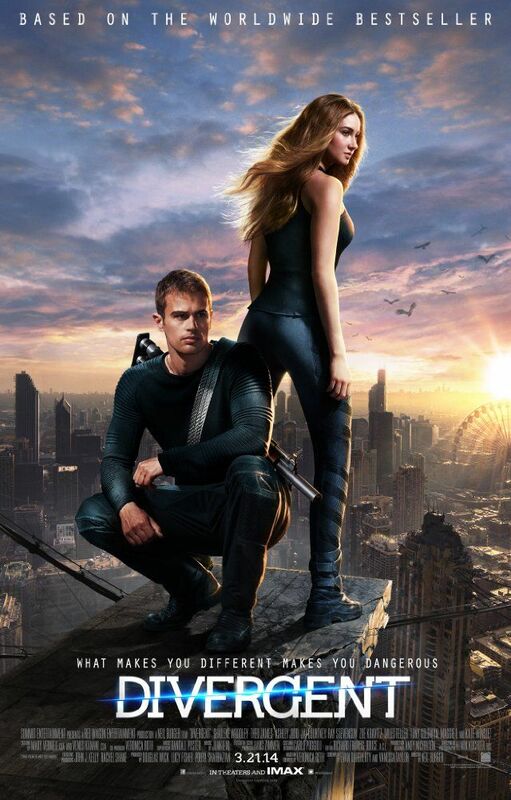 Yet the main character, Tris, is a strong and a very likeable character that the reader can identify with and root for. The world of Suzanne Collins’s Hunger Games is also weird and impausible, with young children sent to their deaths at a games for sport to satisfy the corrupt Capital. But the character of Katniss Everdeen is strong and caring. Perhaps the contrast between the main characters and extreme setting is one of the key attributes of this type of dystopian fiction. One writer once said all stories are about life and death; not necessarily physical death, it can be about psychological, or emotional death. But stories that are not about something important to the main character’s well-being of those he/she cares for are destined to failure. I’m sure that’s right. No one wants boring.